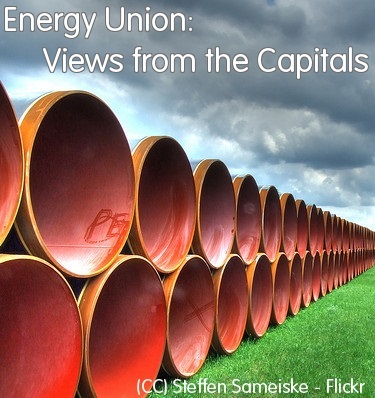 Following the announcement of the shared Polish-French idea to develop an EU Energy Union, we’ve asked ECFR staff from Berlin, Rome, Sofia, Warsaw, and Madrid, to contribute to our “View from the capitals” series. How do the different member states view the proposal? Are the governments going to support it? The crisis with Russia over Ukraine has got many in Europe discussing measures to lessen European energy dependence on Russia, including a timely proposal for an energy union. In this context debate in Spain has been discussing the country’s potential as a gas supplier to Europe. United Kingdom: a country once admired in the European Union, but now in the dumps. Brexit: the term used for the UK’s exit from the European Union, a real possibility in view of what the polls are saying about the mood of British public opinion. Referendum: an instrument of direct democracy that may turn against its promoters. Tory: a dangerous creature with well-known propensities for ousting prime ministers at the cost of EU policy. Cameron: British prime minister who thinks he can ride a tiger. Blackmail: the perception now dominant in Europe about what defines David Cameron’s EU policy. Indifferent mercantilism. This, according to the bitterest critics, is the paradigm that has dominated German foreign policy throughout the past legislature. The China of Europe, said the angriest, concerned only with selling weapons, purchasing cheap, plentiful energy, asking few questions about democracy and human rights, and turning its back on any responsibility connected with world peace and security. How Great Britain Turned Into Little England could easily be 2014's bestselling essay. Someone just needs to write it. All the ingredients are there: petty politics clothed in grandiose rhetoric; racial prejudice lurking behind the strident proclamation of principles; facile populism exercised in the name of a supposedly threatened identity; cheap demagogy passing for leadership; and the idealization of the past as a project for the future. We are now in January 2014, a year in which - according to the agitators of the United Kingdom Independence Party (UKIP), and eagerly seconded by several prominent members of David Cameron's Conservative Party - the UK will be stormed and overwhelmed by a horde of Bulgarian and Romanian immigrants from the continent, knocking the bottom out of the labor market and overcrowding social services.